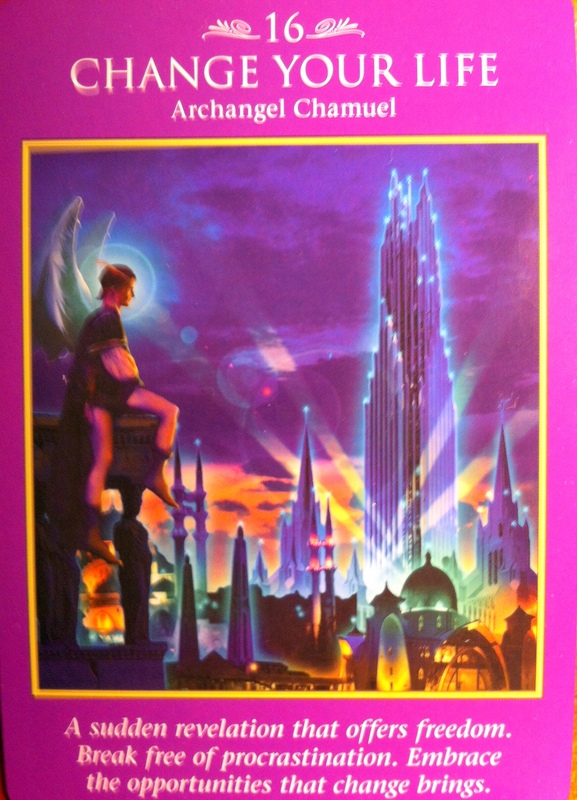 This week I am using the Archangel Power Tarot Cards by Doreen Virtue and Radleigh Valentine. Here is the link to my last show on BlogTalk Radio where I shared this reading. A perfect message to end this year! With our thoughts on the new year, resolutions and goals many of us are ready for change! Here we have Chamuel to support us as we do so. We get support to break free from procrastination. There’s a possibility of new information or insight that allows us to see something that was stopping us before. Since Chamuel can see possibilities that we may not as long as we are present and ready we will have the opportunity to experience this gift. Out with the old and in with the new! These changes can refer to any areas of your life! Chamuel’s name means “He who sees God” or “He who seeks God”. He protects our personal world, assists us in finding relationships, love, career and even lost items. His aura is dark purple. A wonderful card to follow the previous. We are prepared and making changes in our lives. Zadkiel helps us find the perfect balance with our changes with self-control and patience! Here we are given solutions to any issue that come up while doing so! The success of our projects will come from releasing any unforgiveness as to allow more compassion and peace. Zadkiel helps us remember who we are divinely. He can fill your heart with faith and calmness. We can trust that his God given healing power takes care of every detail with grace, harmony and wisdom. His aura is deep indigo blue. A beautiful message about the possibility of meeting someone new for relationship. Accept any social invitations as this may be a connection to meeting new people for excitement and adventure. You may feel that you are not truly ready but you are! Go ahead, step out and share your amazing self! It is also a time to receive intuitive messages! You are ready to embrace life, take chances and confidently follow your passions this week! So as we release and let go of 2013 of what o longer serves us in all areas of our lives we are ready for changes. 2013 was a very powerful karmic year where many life lessons were experienced. For some it was a challenging and difficult and for others it allowed for powerful advancement. This week we receive support as sense of freedom, protection to keep balance in our affairs, and the welcome of meeting new people and insights to herald in the new year! May you have a Happy New Year filled with blessings and love! 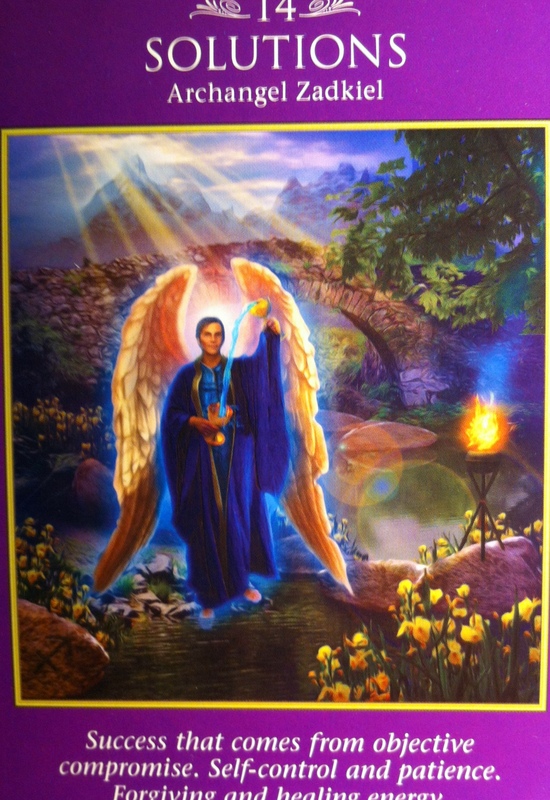 Previous Weekly Angel Oracle Card Reading for December 23 through 29. 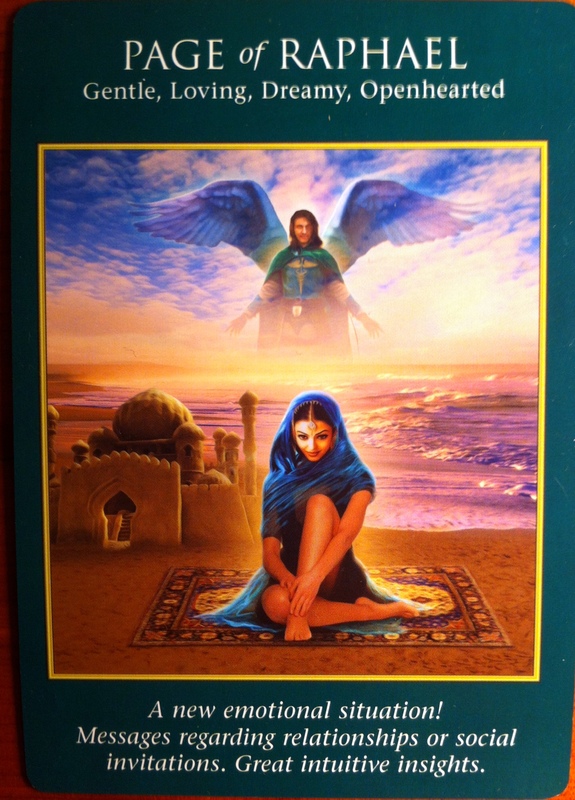 Next Weekly Angel Oracle Card Reading for January 6 through 12.